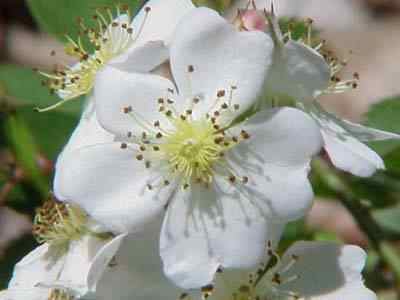 Description: Large Rounded Bushes, with clusters of fragrant white flowers with five petals. 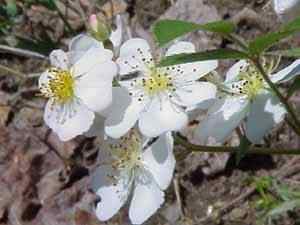 Grows 6 to 8 feet tall and will climb into trees, large aggressive thorns. This rose bush was first introduced as a hedge row to keep live stock in, soon the rose was distributed by wild life and started taking over the pastures. The lack of well maintained pastures this rose has become a pest plant.